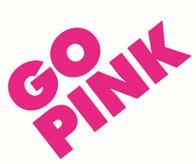 Many thanks to all who contributed to the Ladies Go Pink day on Tuesday 15th October. A total of £278 was raised. Special thanks to Glyn the Pro and all who contributed prizes for the raffle, and to American Golf Sunderland for providing 2 golf clubs which were auctioned.